← SCIENCE : Don’t Be Fooled By The Cold Weather! The Union Of Concerned Scientists is perfectly happy to commit fraud in pursuit of money. There is no indication that sea level rise is accelerating in Boston, New York or Atlantic City, or that sea level has anything to do with CO2 emissions. Sea level was rising at the same rate when CO2 was below 300 PPM. Since 2010, sea level has actually been falling in the Northeastern US. 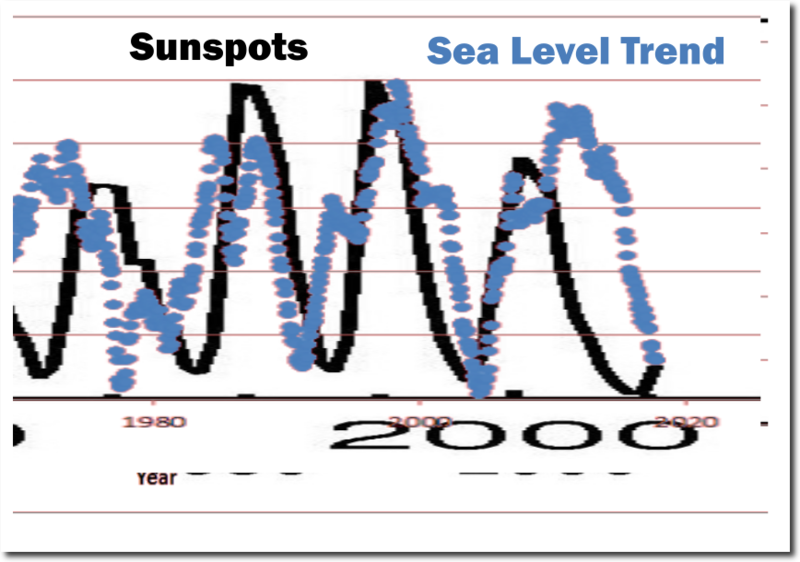 Sea level in the Northeastern US correlates with sunspots, not CO2. Run two trends 1921-1969 and 1969 to 2017 and the earlier trend is steeper. How ’bout that Tony is correct. But tidal gauges are obsolete racist white male tools and must be disregarded. Prostitutes are more honorable than these pond-scum – at least the hookers deliver a service for the fee! Negative acceleration is still “acceleration” (change in velocity), so maybe that’s what they meant?